Eric Evans, an insurance broker in Orange County, CA, spoke today about analyzing your insurance coverage by using your Declaration of Coverage document as a guideline to analyzing the coverage that you currently have. He had an example Declaration of Coverage document and went through it, box by box, explaining the difference between “Critical” coverages and “Convenience” coverages. He explained the importance of the “Named Insured” box and how Mercury has been defining who is NOT covered by your insurance often on the Declaration of Coverage document. He told us to be certain to accurately describe our vehicle in the “Description of Automobile” box because an complete and accurate description is essential to sufficient coverage. He also told us about his “Risk Exposure Calculator” on his new web site and encouraged us to try it out. 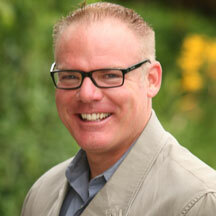 If you have question about your Automobile Insurance in Orange County call Eric Evans at 714-437-5555 today.